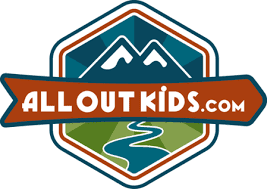 Hopefully you saw the story I just published on the best bike basecamps for families who want to camp this summer and jump on trails right from the campsite. 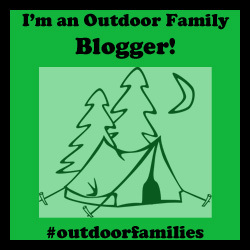 What do you do though if you aren't entirely "into" camping, don't like sleeping on the ground, or require just a tad more comfort? You stay at a wilderness hostel of course. 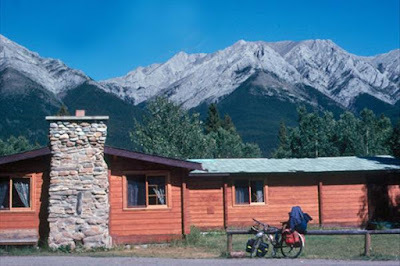 The Kananaskis Wilderness Hostel (HI Kananaskis) is conveniently located adjacent to the Ribbon Creek day use area just below Kananaskis Village. The Village is surrounded by mountain bike trails that connect to the Ribbon Creek Trail System. The Hostel is also situated right beside the Bill Milne Trail for easy jump on/jump off pathway biking, and families can ride this easy paved trail all the way to Wedge Pond for a quick dip and a picnic. Need more trails to ride? The hostel is also just a short 2 min. bike ride away from the Troll Falls trailhead for some fun family mountain biking. It's safe to say, a family can easily spend a weekend (or longer) at this hostel and never run out of trails to bike - without ever having to load a single bike into a vehicle. The Bill Milne Trail is a 9.7 km long paved bike trail that starts up at Kananaskis Village. You can avoid the big hill down from the Village though by starting right from the Kananaskis Hostel near the Kovach Day Use Area. We rode the 17 km return distance between the Kovach Day Use Area and Wedge Pond at the far end in less than 2 hours at the pace of a 6 year old so it's fair to say that it's easy riding. There are a couple big hills near Wedge Pond but the rest of the trail is relatively flat. You will notice it is more downhill as you head from Wedge Pond back to the hostel though as you will be coasting most of the return journey. I think it took us 20 min. to bike back from the pond to our vehicle at the Kovach day use area. The second trail we love biking is the Troll Falls/Hay Meadow Loop from the Stoney Trailhead (less than half a kilometre from the hostel.) You can also hop on the Skogan Pass trail to get to Troll Falls from the Ribbon Creek parking lot just beyond the hostel. However you get on the trail system, Troll Falls is a super fun little bike ride that can be done in a 4km loop trip with time to play at the Falls. For a detailed trip report and directions on how to bike the loop, visit my story on the Best Family Bike Trails in Kananaskis. I've included lots of photos in this story as well. More bike trails can be found up at the Village with the Terrace Loop Trail being the recommended family loop in the area. 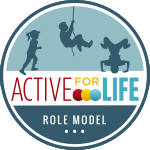 Information on all Village Trails can be found on the Bike Pirate website as we have not biked here yet. Staying at HI Kananaskis offers the chance to experience an off-the-grid wilderness experience without having to sacrifice the comforts of home. With electricity, indoor plumbing, hot showers and a fully stocked kitchen, you won't be roughing it too much at this hostel. Families can either book spots in the shared dorm rooms or can book a private room for some additional privacy. We always reserve a private room but families with two or more children may have to reserve two rooms as they only sleep three people per room. Alternately, a new room has been built in the basement that could accommodate a larger family. Just ask about reserving the small dorm room in the basement when making your booking. The hostel is also a great facility for groups looking to stay together without having to camp. Reserve the entire hostel and enjoy exclusive use of the kitchen, fireside room, and outdoor fire pit for a youth retreat, family reunion or church camp this summer. 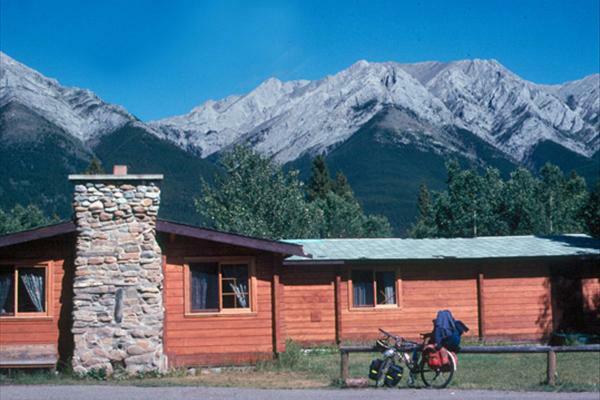 For more information on the Kananaskis Hostel, please visit the Hostelling International website. A complete list of all 10 wilderness hostels in the Rockies can also be found on the website. 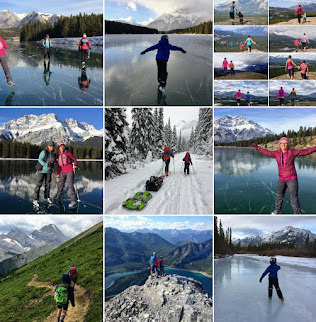 Thanks to Hostelling International for sponsoring our last visit at HI Kananaskis this past winter. As always, all opinions in this story are my own and I wasn't paid to write this story.